This is one Real Housewives couple whose life continues to be under the microscope, which is bound to happen when you're serving jail time for tax fraud. 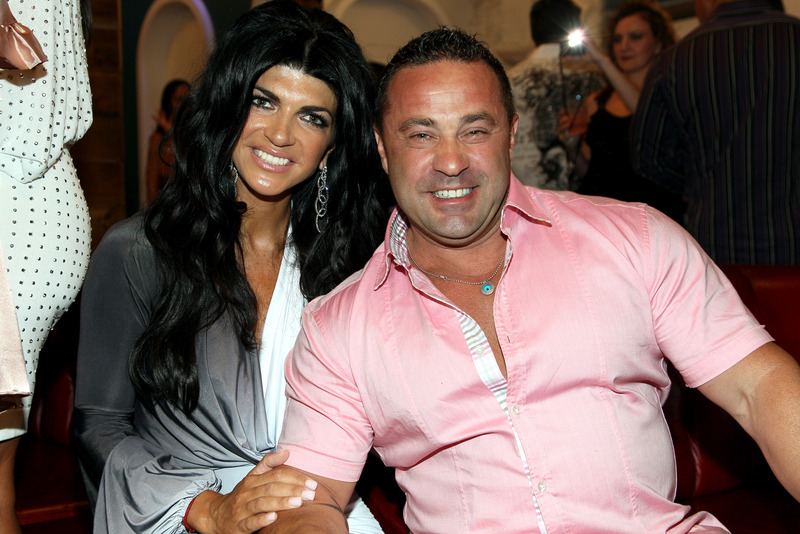 So, now that Real Housewives of New Jersey star Teresa Giudice has been released from prison after almost 12 months, and with her husband Joe Giudice soon heading off to prison himself for 41 months, what do Joe and Teresa's plans for the future look like? Despite Joe going to prison sometime in March, their future isn't too bleak and appears to be quite busy. Would you expect anything less, especially from Teresa? Ever since appearing on the hit Bravo series, she's been on the go. From her cookbooks to her Milania hair care line to her Fabellini beverages, the 43-year-old reality star isn't one to sit back and relax. It seems the same can be said for Joe and Teresa's future. Neither have really spoken about their definite plans or what they hope to accomplish from here on out, but there has been talk and rumors. It's not strange to not hear much directly from them, because not only did Teresa just get home, but I'm sure they're trying to figure things out and get in as much family time as possible before Joe leaves to serve out his sentence. Maybe they can't even see past tomorrow and are focusing on the present? Who knows, but their future does look somewhat bright. While Teresa was in prison, it was announced that she will be releasing a memoir. Per her attorney, James J. Leonard Jr., her book is "going to be about growing up from humble beginnings." Of course, it will also feature Teresa's time behind bars. While in prison, she kept a journal. Here's hoping some of those entries will be part of her memoir, too. As I'm sure many fans and Bravo viewers expected, Teresa's return home from prison was documented for the cable network, per Us Weekly. What makes for better ratings than seeing her welcomed back by her husband and four daughters? I have a feeling all RHONJ fans would tune into that special if it ever airs. Speaking of Bravo shows, Teresa has to return to RHONJ , right? The Housewives franchise has been MIA, which makes me wonder if there will even be a Season 7. Now that she is home (and if she signs on), then I'm sure Bravo won't pass up on another season of RHONJ. According to Radar Online, Teresa and Joe are opening up a restaurant. They remember how the pizza place worked out, right? I guess if this happens, Teresa will have to take the reigns, since Joe will be in prison for awhile. "It will keep her busy while Joe is away," a source told In Touch (via Radar Online). The source also said, "She learned about running a big kitchen while in prison and thinks she could incorporate that into her storyline for the show." Reportedly, she has already scouted several New Jersey locations for her restaurant. While chatting with E! Online in October 2015, Joe talked about his family going on some trips once Teresa was released. "We got the holidays. We're probably going to take a trip or two with the family," he said. "I'd stay in the states, [maybe] some island close by." I wonder if they're doing that now, before he heads away in March? Most importantly, I'm sure their plans from here on out include even more family time. Family is important to both Joe and Teresa, so I'm sure, like they've already been doing, their loved ones will continue to be their top priority. I can only imagine what else Joe and Teresa have in store for the future, but I'm sure they won't let their current legal situation get in the way.